Now upgraded with Andros stem and swept back bars for better position and adjustablity. 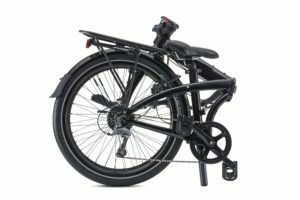 The larger 24″ wheels give a more traditional look and ride that is as comfortable and solid as a Dutch city-bike, but still folds down small. 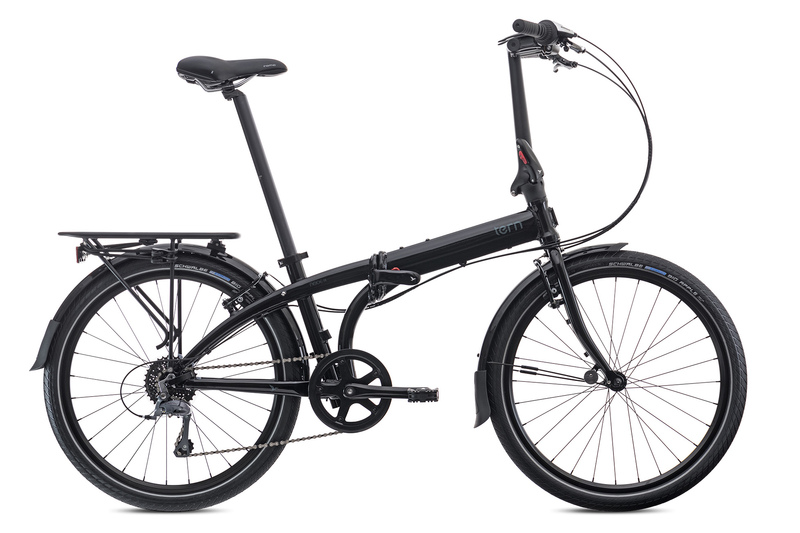 Tern’s clever Z-fold means that the larger wheels add only a couple of inches to folded size, so it’s still convenient to stash in office, cafe, or on transit. Gear range: 33" - 96"